Yes, we now have a self-service online booking system. When booking online, you can pay by credit card through PayPal. Credit cards accepted include VISA and MasterCard. 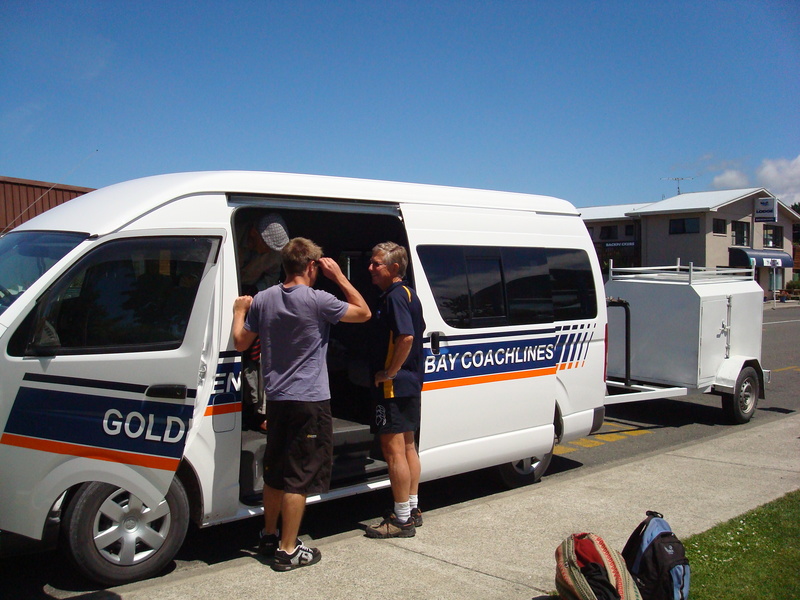 When booking over the phone, you can pay by credit card, direct deposit (if in New Zealand) or cash (to the driver or at our office in Takaka). When booking through one of our agents, pay the agent when booking. Do you go to the Nelson Airport? Yes, our daily trips can drop-off and pick-up from the Nelson Airport. Do you run on Christmas day? No, Christmas day is the one day of the year we all take a holiday.